Red Cross volunteers will be contacting new and existing donors to the organization over the next few months to help generate funds for the local chapter to help pay for disasters, aid military families and to help train the community in life-saving first aid and CPR courses. Many community members may receive phone calls from Red Cross volunteers asking for pledges to help with the campaign this year. The 2010 Chair is Scott Walker with WGNS and the Vice Chair is Jonathan Jones from Red Realty. The goal for this year’s campaign is $245,000. The Red Cross is also implementing some new initiatives for this year’s campaign aside from the donor phone calls. There will be ten Red Cross signs around town, that were printed and donated by ASC Signs, that will help measure the success of the campaign and to let the public know how close Red Cross is to reaching the $245,000 goal. There will also be a new program called “Restaurants for Relief” that will be running throughout the month of March in honor of Red Cross Month. Servers at participating restaurants will deliver a Red Cross donation envelope with each customer’s check at the end of the meal to provide them an opportunity to make a cash, check or credit card donation. Table-toppers for “Restaurants for Relief” were donated by Franklin’s Printing. Participating restaurants include Newk’s, Maple Street Grill, The Clay Cup and Kirkenburt’s. Other interested restaurants are encouraged to contact the Red Cross at 615.893.4272. Ext. 106. “It was important to us to be able to have a public face on the campaign, and to ensure that the community is well aware of our efforts and that they have an opportunity to choose to support Red Cross through a pledge over the phone, an online gift or a gift at a local restaurant,” said Vice Chair Jonathan Jones. 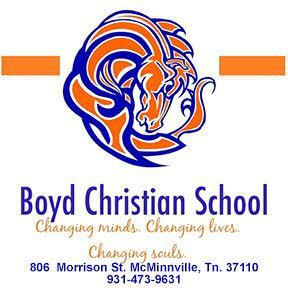 Gifts that were recently made to the Chapter for the Haiti earthquake went directly to those relief efforts and none of those funds stayed here in the community to help with local disasters. “While it is extremely important that we assist our International neighbors in their time of need, we must not forget that disasters happen here every day and we have to be able to respond to those as well,” said Red Cross CEO Greg King. The Heart of Tennessee Chapter of the American Red Cross provides vital emergency assistance to help victims of local disasters in Rutherford, Bedford, Cannon, Franklin, Coffee & Moore counties. Over the past year the Chapter trained nearly 15,000 people in CPR & First Aid, Babysitting and Aquatics training, and provided pre-deployment briefings and emergency communications for over 640 active duty military personnel and their families. Over 13,177 pints of life-saving blood were collected from the community last year. All of these services are made possible by over 320 dedicated local Red Cross volunteers as well as through generous gifts from the local community. 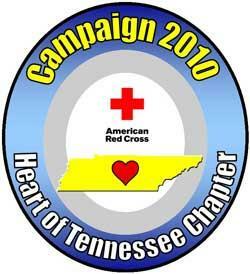 To get more information please call 615) 893-4272 or log on to www.midtnredcross.org.